Masood Azhar was seriously injured during the air strike carried out by the Indian Air Force on terrorist camp in Balakot in Pakistan's Khyber Paktunkhwa province, says report. Reports indicate that Masood Azhar was really unwell and was on daily dialysis. As the reports of Jaish-e-Mohammed chief's Masood Azhar death surfaced on social media, people took to Twitter to react to the news, with the hashtag #MasoodAzharDEAD. Some of the Twitterati claimed that the JeM chief was killed in the bombardment by Indian Air Force (IAF) on a terror camp in Balakot. However, there was no confirmation from any authoritative sources. 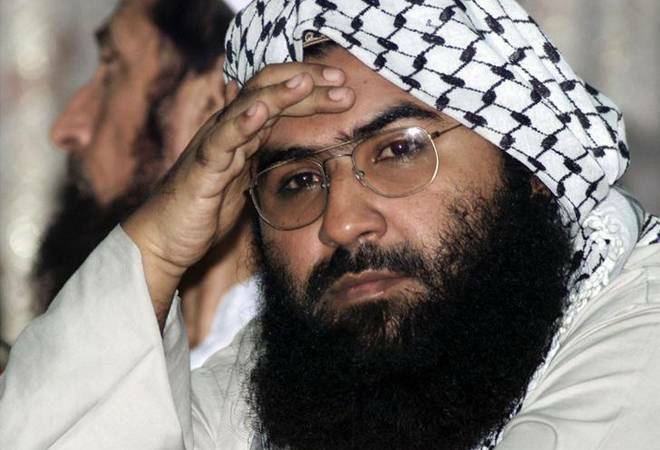 A day after Pakistan Foreign Minister Shah Mahmood Qureshi claimed that Jaish-e-Mohammed chief Masood Azhar is really unwell, reports have emerged that Pulwama attack mastermind got killed in the bombardment by Indian Air Force (IAF) on a terror camp in Balakot. However, there was no confirmation from any authoritative sources. According to sources, Pakistan is yet to make the official claim but as per Pakistani media, JeM chief Masood Azhar was seriously injured during the air strike carried out by the IAF. Reports also claimed that he has been on daily dialysis. No formal statement yet. In swift retaliation to the dastardly Pulwama terror attack, the Indian Air Force had struck the Jaish-e-Mohammed terrorist camp in Balakot in Pakistan's Khyber Paktunkhwa province. The target in Balakot was the biggest training camp of Jaish-e-Mohammed, the outfit which claimed responsibility for the Pulwama suicide bombing. This location was being run by Yousuf Azhar, brother-in-law of Jaish-e-Mohammed's chief Masood Azhar. JeM chief's younger brother Maulana Ammar has confirmed that IAF fighter jets had attacked their facility in Pakistan's Balakot. In an audio clip, he can also be heard criticising Pakistan Prime Minister Imran Khan for releasing Wing Commander Abhinandan Varthaman, who was held captive by Pakistan for two days after his plane was shot down in a duel by Pakistani fighters. On Thursday, Qureshi had said, "Jaish-e-Mohammed chief Masood Azhar is in Pakistan, according to my information. He is unwell to the extent that he can't leave his house, because he's really unwell." The Jaish-e-Mohammed chief and funder, who is considered as a close associate of Osama bin Laden, carried out a string of deadly attacks in India, including the attack on the Indian parliament in December 2001 and 2008 Mumbai attacks.